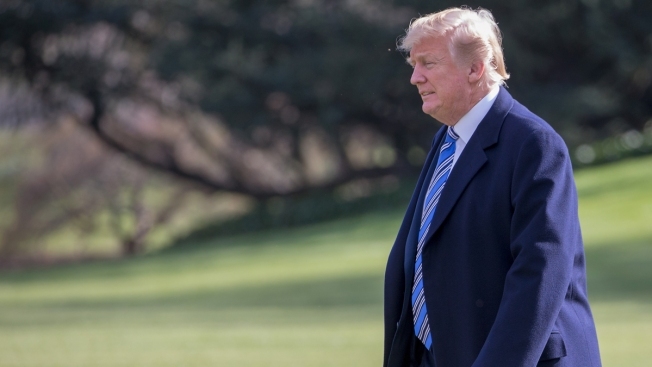 This March 23, 2018, file photo shows President Donald Trump walk from the Oval Office to the Marine One helicopter as he departs the White House for Mar-a-Lago. It may be a while before President Donald Trump gets another chance at creating a new, "merit-based" immigration system, a keystone of his four-part plan that Congress rejected last month. In the meantime, his administration is busy making it harder, not easier, for skilled migrants to come work in the United States. The State Department has ended an Obama-era program to grant visas to foreign entrepreneurs who want to start companies in the United States. It is more aggressively scrutinizing visas to skilled workers from other countries. And it is contemplating ending a provision that allows spouses of those skilled workers to be employed in the U.S. The administration and its backers contend it's trying to fix flaws in the existing, employer-centric skilled immigration system while advocating for a complete overhaul of America's immigration system. "The stuff that they're actually doing is not so much restricting skilled immigration as enforcing the law," said Mark Krikorian of the Center for Immigration Studies, which supports reducing immigration. "They're rolling back some of the extralegal measures that other administrations have taken." 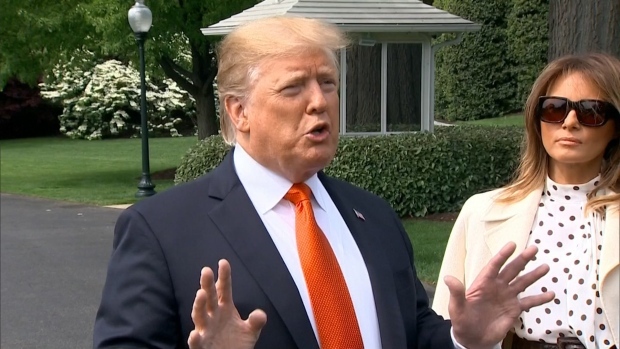 President Donald Trump told reporters he was open to having DACA "morph" into citizenship for immigrants bought to America as children. The plan proposed by Trump could take "10 or 12" years, and it may be dependent on the person's educational and working track record. A primary avenue for skilled immigrants to enter the United States is the H1B visa for specialty workers, which is heavily used by the technology industry. About 85,000 visas are issued annually in a lottery system. Some critics argue they are a way for companies to avoid hiring U.S. citizens; Trump himself has said H1B recipients shouldn't even be considered skilled. In 2016, two technology workers sued Disney, alleging 250 U.S. employees were laid off and many were forced to train replacements who were hired on H1B visas. A federal judge dismissed the lawsuit, saying Disney was following existing immigration laws. The Trump administration has increased its scrutiny of H1B applications, requiring renewals be submitted in person and asking for additional proof the workers are needed and are being paid top tier. "This increase reflects our commitment to protecting the integrity of the immigration system," said Joanne Fereirra, a spokeswoman for U.S. Citizenship and Immigration Services. She added that 92.5 percent of the visas are still approved, only two percentage points lower than under the Obama administration in 2016. Still, businesses have noticed a change. "We've got employees that are going through the process, who have gone through such a level of scrutiny and interrogatory that is unprecedented," said Dean Garfield, president of the Information Technology Industry Council, which advocates for H1B visas and has had one of its own workers have to move back overseas because of delays in approving the requisite visa. 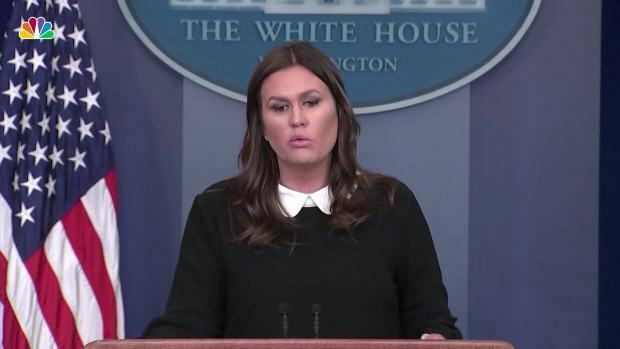 The White House defended the inclusion of a question regarding citizenship status on the 2020 census, saying it is necessary to protect voters under the 1965 Voting Rights Act. However, the question has not been included on the census since 1950. The extra time with H1B visas is only part of the administration's changes to skilled, work-based immigration. Last year, Trump signed an executive order that directed all government agencies to "rigorously enforce and administer the laws governing entry into the United States of workers from abroad" to ensure the maximum number of U.S. citizens have jobs. The order also called for shifting H1Bs from lower-paid workers to higher-paid ones who truly have skills that can't be obtained from the native workforce. The administration also stopped an Obama administration program that was about to start last year to provide visas to let international entrepreneurs who start companies in the United States live in the country for renewable, 30-month stints. In December, the U.S. Department of Homeland Security released its new regulatory agenda which included further, unspecified changes to the H1B program. The administration also indicated it will roll back the STEM OPT program expanded by President Barack Obama that lets international science and technology students work legally in the U.S. for up to three years. Meanwhile, the State Department said last week it is seeking to further enhance vetting of potential immigrants and visitors by requiring all U.S. visa applicants to submit their social media usernames, previous email addresses and phone numbers — information that was previously sought only from applicants identified for extra scrutiny. The department estimates 710,000 immigrant visa applicants and 14 million non-immigrant visa applicants will be affected annually. Akash Negi, 26, graduated last month with a master's in sciences and analytics from Pennsylvania's Harrisburg University of Science and Technology that he earned while working as a big data analyst at JP Morgan Chase. Negi moved to the United States after his father got a diplomatic visa as part of a job at the United Nations, but his legal residency doesn't include a work permit. He was able to work while a student but is waiting for his STEM OPT visa to remain employed, and is concerned Trump will gut the program. Negi noted he understands Trump's stated goals of protecting U.S. workers but says he's going about it incorrectly. "Any country wants to protect its own citizens, but you don't just end the program when you don't have your own population trained," Negi said. The Trump administration has also signaled it may end another Obama-era program that allowed spouses of H1B visa holders to work legally in the U.S. Many of these people have been in the U.S. for years, sometimes long enough to have children who are now U.S. citizens, yet can face a decades-long wait for a green card. The prospect of being unable to work is a shock to them. "I would like to make my own living. I am qualified and skilled," said Anushri Maru, 35, a business analyst in Houston, adding she's baffled her new home doesn't want her talents. "I'm not sure they understand that we are skilled immigrants."